Full set of 14 Official TOPPS Chrome autograph cards. (Note: due to the reflective nature of the chrome cards, the true beauty is difficult to catch on camera). 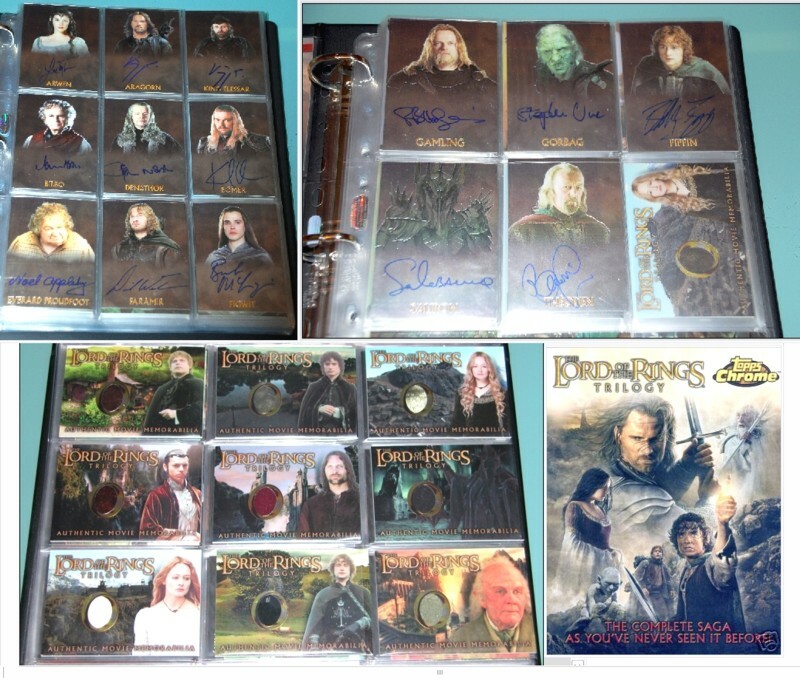 Plus an official Lord Of The Rings Topps binder and card holder inserts to hold all your cards !!! Note : The Chrome Trilogy costume card set are available separately.